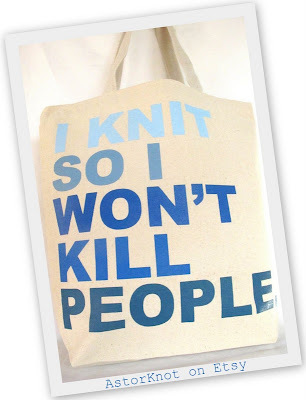 " I knit so I won't kill people." you know how much this quote is the truth, right? 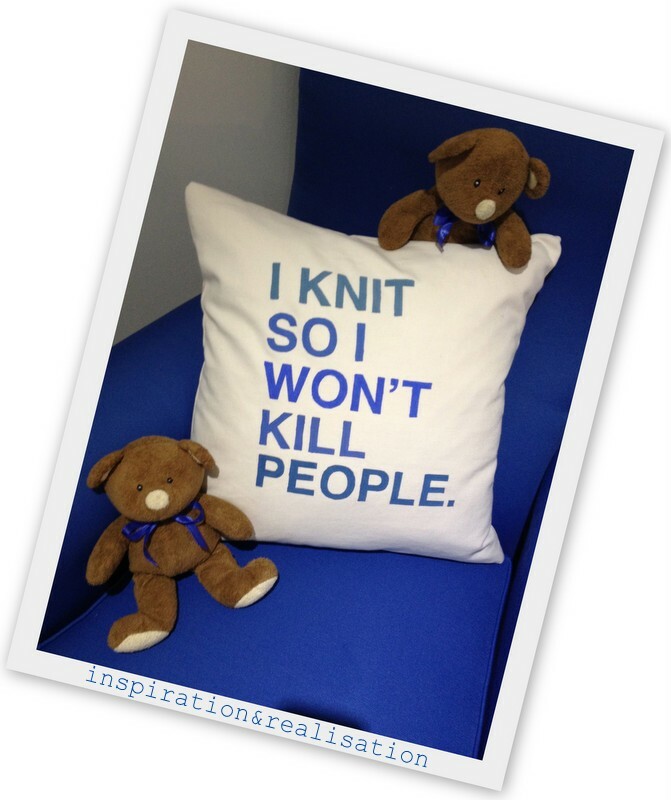 ... perfect quote for my knitting spot! I saw this tote bag on Pinterest and I had to repin it right away. I had to print the quote on regular paper. I used the font Helvetica bold - size 200. Then I taped the printed paper onto my cutting mat, the freezer paper on top of it, and started to cut out the letters with the x-acto knife. Next step: I cut every line of the quote 1" over and 1" under the letters, since I liked the letters nicely squeezed into each others. ... Time to mix up some fabric paint using blue, white and a bit of yellow and a touch of red and get the colors ready! Few seams and a zipper later... ta-duh! My knitting pillow. 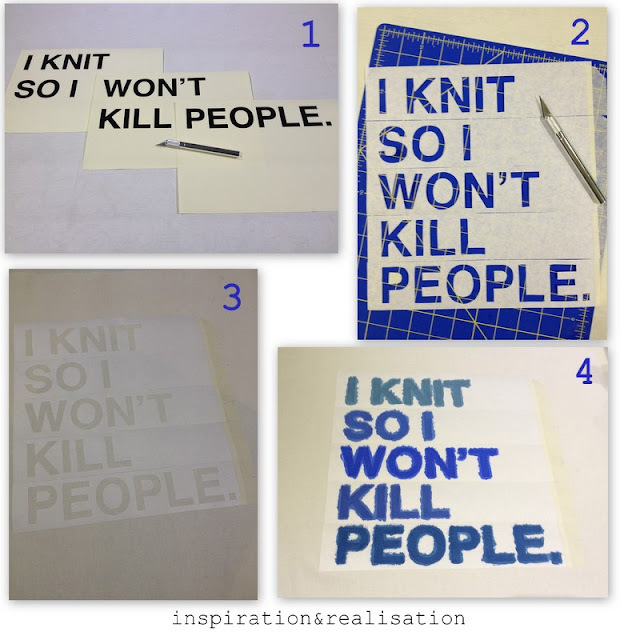 Perfect on my knitting corner. ...and because my s-daughter learned to knit and she's all about sparkles and purple... I made her one, too! 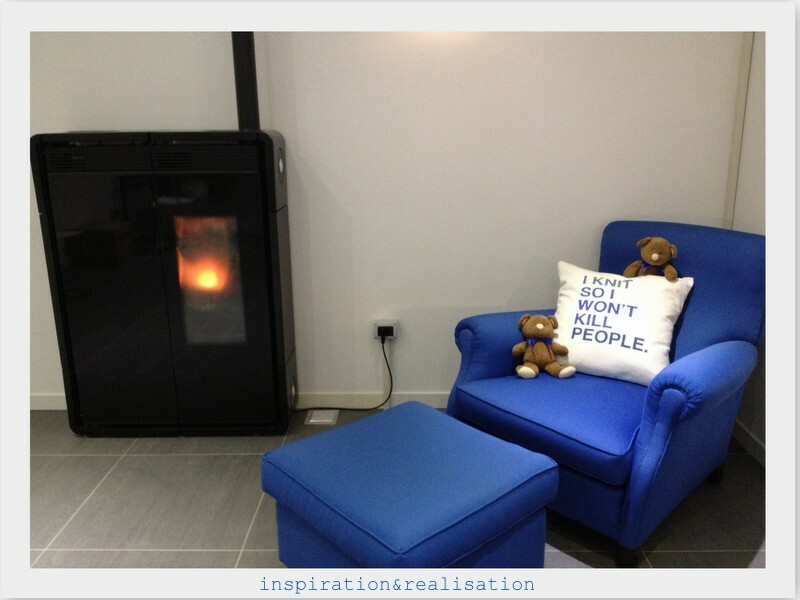 check it out here!!! I just finished to remodel the basement, so now i'm sooooo spoiled: knitting corner, sewing table, painting area... !!!! now, this is just perfect!!!!!!! The quote just craked me up!!! that was exactly my initial feeling! i couldn't stop laughing! xox, d.
That is awesome! Love the phrase, made me laugh! thanks Kei! bring a smile to my face every time I look in that direction! Woot! Freezer paper rocks! Cool pillow. Hilarious phrase! Thanks Rikka! this was my original selection for the typography challenge, but I didn't know with spring break in the middle if I had the time to finish it! and yes, freezer paper rock big time! I couldn't find the right fabric too, so I bought a table cloth in the 'as is' section of ikea. It's cotton and linen I believe!